tail. Uses 2 “AA” batteries(not included). 7 1/2″ x 4″. can not send out specific colors. 29 Orders were placed in last 30 days. josh from west berlin, Sarah from Fall River & 27 others purchased this item recently. tail. Uses 2 “AA” batteries(not included). 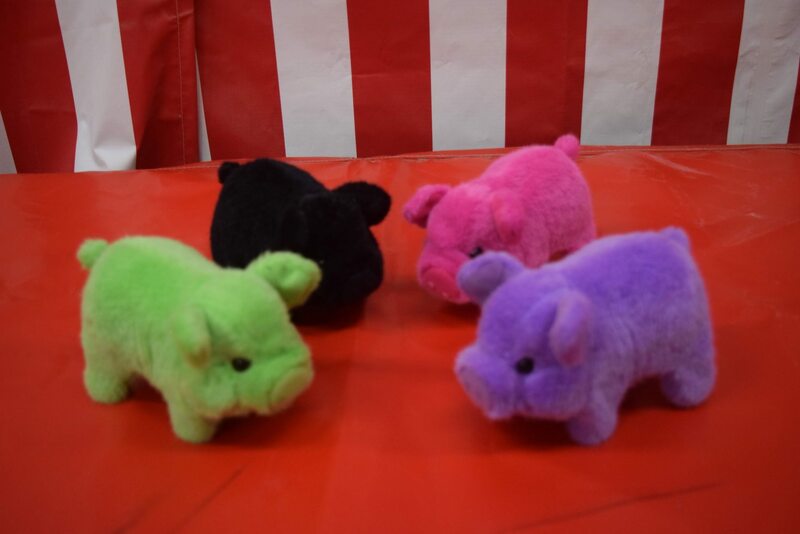 *These pigs are smaller than the originals pigs supplied with our 5 lane game.